If you’ve ever done, or thought of doing, dental direct mail to generate new patients for your practice, then we need to talk! 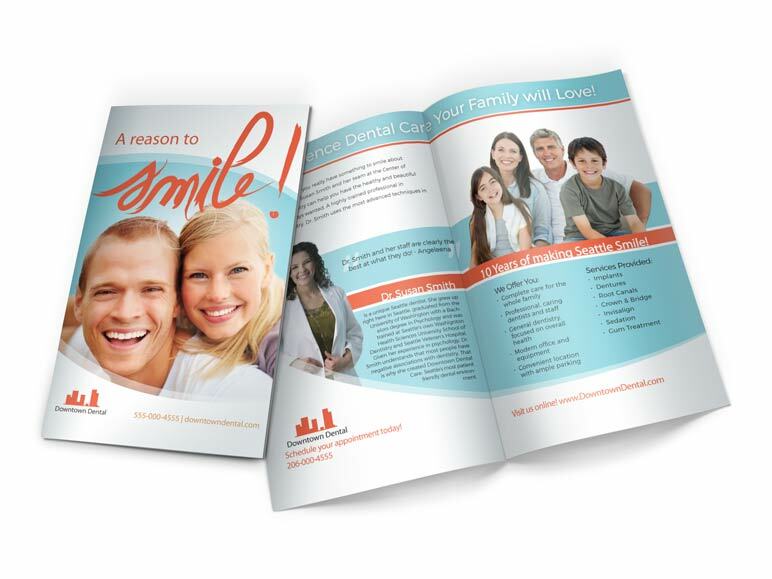 Innovate Dental Marketing has been offering dental direct mail campaigns to dentists like yourself to help them attract the best patients for their practices for over 12 years now! 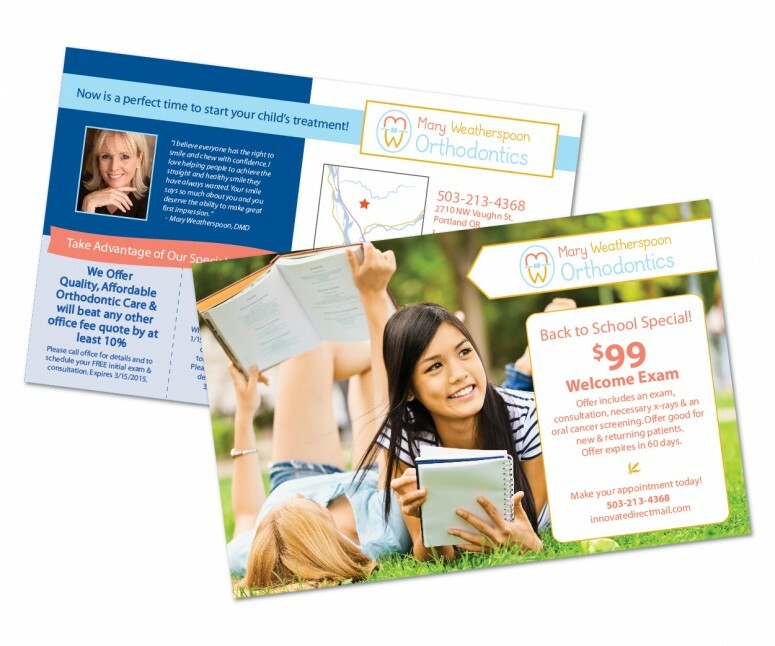 We offer premium card stock quality, custom designed art, and targeted demographics to help ensure your Dental Direct Mail project is received as professional and relevant material to your prospective patients! In addition to our innovative design services, exemplary customer service, and superior product quality…we offer you years of relevant dental marketing “Tribal Knowledge” that we are excited to share with you! And did we mention that there’s NO CONTRACT? That’s right…you’ll mail with us because our offerings are sustainable and add true value to your direct marketing campaign…not because you have 6 months left on your contract! 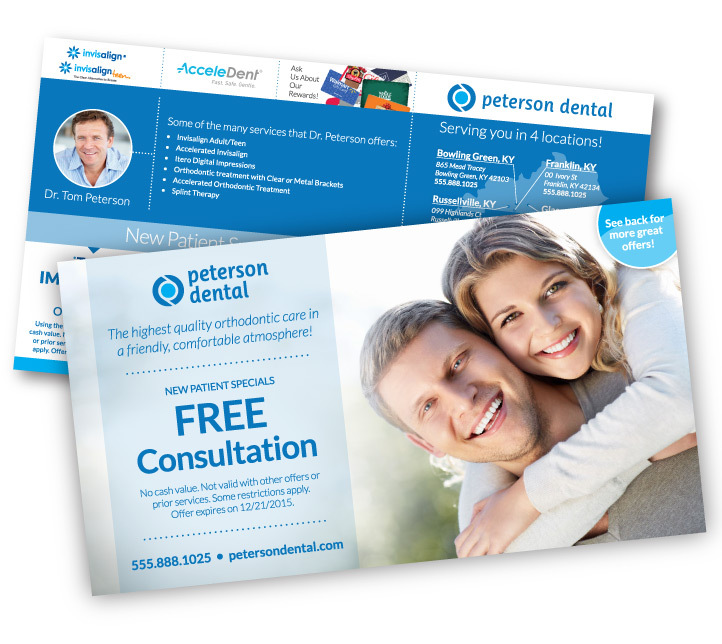 Our 6″ x 11″ premium dental direct mail postcards have plenty of room for multiple offers and eye catching images. Full-color and printed on beautiful 140lb glossy card stock, as a result these high-impact pieces can’t help but stand out and get noticed. Our high quality 5.5″ ×8.5″ postcards are especially relevant for your first campaign or for advertising on a budget. Printed in full-color on beautiful 140lb glossy card stock, these little cards pack a big punch. Need more room to communicate? Our 8.5″ ×11″ Half-Fold mailers offer more panels for increased design space. Most of all, these are great for multiple offers, new mover mailers, and procedure follow up instructions!